As luck would have it, the last guru we looked at was Richard Dennis, one half of the pair behind the Turtle Traders. Today’s guru is William Eckhardt, the other half of the pair. Eckhardt was the guy who bet Dennis – who he had known since high school – that trading skill could not be taught. 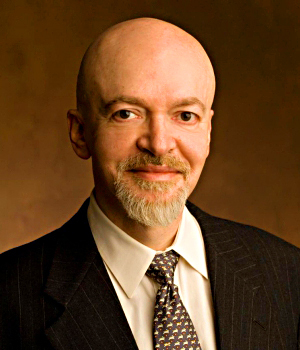 William Eckhardt is a mathematician who quit his PhD – encouraged by Dennis, after a change of supervisor meant that Eckhardt’s existing work would be wasted – to start trading. Eckhardt was interviewed by Jack Schwager as part of the New Market Wizards book, the second in his series of interviews. It’s a terrific interview, and Eckhardt is so quotable that direct reference to his speech will form the majority of this article. Eckhardt traded his own money for ten years before taking on other people’s accounts. In the five years to Schwager’s interview, his average annual return was 62%, ranging from a 7% loss in 1989 to a 234% gain in 1987 (note the year). In his overall trading from 1978, he had averaged 60% a year, with 1989 the only loss. At the time of the interview, Eckhardt was planning to manage public funds for the first time. I got tired of seeing my students managing hundreds of millions while I was managing comparatively paltry amounts. Eckhardt uses the money that he makes trading to fund his hobby of science projects, mostly quantum mechanics, evolution and the nature of time. He began on the trading floor before moving into systems-based trading. Off-the-floor traders live or die by their ideas about the market or their systems. … As a pit trader, you only need to be able to gauge when a market is out of line by a tick, or a few ticks. I would buy when weak hands were selling and sell when they were buying. The execution edge was probably the primary reason for my success as a floor trader. The major factor that whittles down small customer accounts is not that the small traders are so inevitably wrong, but simply that they can’t beat their own transaction costs – not only commissions but also the skid. He found statistics useful in pit trading and his later desk trading. Most classical applications of statistics are based on the key assumption that the data distribution is normal, or some other known form … if your distribution assumptions are even a little bit off, the error is enough to derail the delicate statistical estimators. We need blunt statistical instruments, robust techniques. Price distributions have more variance than one would expect. … Mandelbrot has conjectured that price change distributions actually have infinite variance. We are interested in the average waiting time between successive equalizations of heads and tails. Typically the waiting time tends to be short. Sometimes, we may have to wait an enormous amount of time. Our sample will tend to consist of a lot of relatively short waiting times and a few disquietingly large outliers. This distribution has no average – as you gather more sample data, the average will creep up. You can say the average is infinite, but getting enough data to assure that price change variance is infinite could take a century. This sounds a lot like the Black Swan theory we heard so much about after the 2008 crash, but Eckhardt is being interviewed fifteen years earlier. He used the 8,000-point drop in the S&P on October 19, 1987 as an example. He says this has implications for weighting multiple indicators – rather than sophisticated weightings, use equal weights (1 or 0) for all indicators. He says that trades should be weighted equally also. Either a trade is good enough to take, in which case it should be implemented at full size, or it’s not worth bothering with at all. If you avoid optimization altogether, you’re going to end up with a system that is vastly inferior to what it could be. If you optimize too much, however, you’ll end up with a system that tells you more about the past than the future. Karl Popper says that all progress results from efforts to falsify not to confirm, our theories. This is certainly the right attitude to bring to trading research. When I have an idea based on a chart pattern, I try to reduce it to an algorithm that I can test on a computer. Most things that look good on a chart – say, 98 percent – don’t work. The human mind was made to create patterns. It will see patterns in random data. The desire to find patterns is the same human quirk that convinces people that there is validity in superstitions, or astrology, or fortune tellers. The successes are much more startling than the failures. I think these indicators [RSI, stochastics] are nearly worthless. Formally, the mistake is the confusion between prior and posterior probabilities. If 85 percent of all tops and bottoms have property X, but property X also occurs often enough in other places, using that indicator as a signal will rip you to shreds. The markets go up and down. So in some loose sense of the word there are cycles. The problem is that you can fit sine waves pretty closely even to purely random patterns. Rigorous statistical techniques, such as Fourier analysis, demonstrate that these alleged cycles are practically random. stray into overly risky terrain. It’s better to trade at a reasonable level, and when you find yourself with too much exposure, override your system and cut back. I take the point of view that missing an important trade is a much more serious error than making a bad trade. You have all kinds of backups to protect you (to assure that you get out) when you take a bad trade. Missing a major trade tends to have a reverberating effect throughout your whole trading strategy. I don’t like to buy retracements. If the market is going up and I think I should be long, I’d rather buy when the market is strong. If the market has retraced enough to make a significant difference to your purchase price, then the trade is not nearly as good as it once was. Avoid those things that give you comfort; it’s usually false comfort. Although theoretically [a contrarian] approach might work, the information available to contrary opinion traders is of questionable significance. Our research indicates that it’s marginally profitable to buy – not to sell – a market with an extremely high bullish consensus. People want to buy cheap and sell dear. People tend to view the prices they’re used to as normal. This leads people to trade counter to an emerging trend on the assumption that prices will eventually return to “normal”. The evidence against the random walk theory of market action is staggering. Hundreds of traders and managers have profited from price-based mechanical systems. The systems worked for us year after year. We taught some of these systems to others, and it worked for them. They then managed other people’s money, and it worked again. System traders still have an important old ally: human nature. Human nature has not changed. Fortunately, there are still a lot of people trading on their instincts. But there’s no question that the game has become much more difficult. Starting over, I would concentrate more on money management – it’s more important than the price model. You shouldn’t plan to risk more than 2 percent on a trade. Many money management schemes use a logarithmic utility function – the increase in utility for additional wealth remains constant for equal percentage increases.The problem with this model is that it is unbounded; eventually it will tell you to bet the ranch. Eckhardt uses the St. Petersburg Paradox to illustrate: even a billionaire must have a number that he would be willing to risk all his wealth on a coin toss for. There are other things – Eckhardt suggests an extra hundred years of life – that might be worth the bet, but not money. Eckhardt uses bounded utility functions. Average intelligence is enough. Beyond that, emotional makeup is more important. Eckhardt thinks that trading a mechanical system is psychologically superior. Your job is to follow the system. If the system does something that results in losses, that’s just an expected part of the system. There’s no sense in which your judgment is on the line on any single trade. It’s much easier to learn what you should do in trading than to do it. Good systems tend to violate normal human tendencies. If a betting game is played long enough, eventually one player will have all the money. The implication is that to win you have to act like the minority. People will generally choose a sure gain over a lottery with a higher expected gain but they will shun a sure loss in favor of an even worse lottery. This is take your profits, but play with your losses. ground in adversity. Better advice to the trader would be: watch idly while profit-taking opportunities arise, but in adversity run like a jack-rabbit. Human nature does not operate to maximize gain but rather to maximize the chance of a gain. The success rate of trades is the least important performance statistic and may even be inversely related to performance. What seems of paramount importance is whether the positions that you have right now are going to work. It’s tempting to bend your rules to help your current trades. That’s why people take profits and give losses too much rope. If the losses don’t hurt, your financial survival is tenuous. goes your way. Focus instead on those things you want least to happen and on what your response should be. You should try to express your enthusiasm and ingenuity by doing research at night, not by overriding your system during the day. I had known that a good system would outperform me in a windfall year, but I thought I could outperform the system in a mediocre year. The times when you do something that appears to outsmart the system are the ones that stay with you. The day-in, day-out slippage is the sort of thing you forget. This is one of the best of Schwager’s interviews, with a very clear thinking trader who is able to get his ideas across easily. I’m not surprised that he and Dennis were able to train the Turtles so well. It was interesting to see how much of behavioural finance – not to mention the Black Swan / Long tail statistics – that Eckhardt was using more than twenty years ago. Don’t sell on strength and buy on weakness – follow the trend not the countertrend. Don’t obsess about your current positions – concentrate on sticking to your system. Do what is correct rather than what feels comfortable. The normal distribution doesn’t apply to price data – extreme events are more common. Use equal weight trades, and equal weight indicators. Don’t optimise your system for the past. Don’t miss trades – it’s easier to get out than to get in late. Pay attention to money management, and use a bounded utility function. Don’t risk more than 2% of your capital on a single trade. Focus on what might go wrong and what you will do if it does. A lot of classic stuff, but coming straight from a master, and well worth taking on board.